Inspections should be part of any system operation to maintain longevity, protect investments, minimal downtime and safety. Because accessibility is critical to proper inspections, Statewide Aquastore, Inc. standardly provides tanks with lower access doors, roof manways and OSHA approved ladders and platforms. A complete written report and photographs of the tank inspection are provided. Exterior – A visual walk around by the tank operator should be performed annually to inspect for any issues or concerns that may need to be addressed. Interior – AWWA recommends an interior inspection every 3 to 5 years on all water tanks to assist in maintaining Department of Health requirements and maximize tank life. Wet Inspection –This type of inspection is completed when an owner cannot or does not want to take their tank out of service. Statewide Aquastore, Inc. will conduct this inspection with the use of an ROV (Remote Operated Vehicle) with camera and recording equipment. 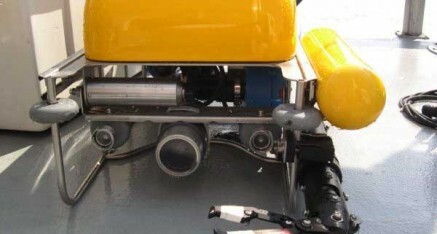 In conjunction with the interior ROV unit, a visual exterior inspection is completed. Dry Inspection –This visual inspection is completed on both the interior and exterior when the tank is empty. Sacrificial magnesium or zinc Anode systems are utilized in Aquastore tanks to provide protective redundancy to the steel substrate and are designed specifically for each individual application. As the coating quality increases so does the importance of cathodic protection. Since glass is the best coating available, cathodic protection is provided as part of the Aquastore design. These systems are designed for a long service life before the anodes could require replacing. Anode replacement is fast and economical and with a potable water system, can be accomplished with either an empty or full tank. CST Storage Inc. offers a standard warranty on all tank types and applications. Contact us for the specific warranty for your application.